The Beaumont Convention & Visitors Bureau is proud to announce that www.BeaumontCVB.com has been awarded the Travel Standard of Excellence WebAward in the Web Marketing Association&apos;s 2010 national competition, the WebAwards. "The #1 method of travel planning is online, so naturally the CVB website is the hub of our marketing efforts," says Stephanie Molina, Director of Marketing for the Beaumont CVB. "It&apos;s vital that we maintain a thriving "digital ecosystem" for Beaumont," she continues. Since January this year, BeaumontCVB.com has helped 68,238 people (unique visitors), 76.82% of those people were new visitors. The CVB&apos;s online digital visitor guide was downloaded by 12,484 people. In addition to this online fulfillment, the CVB along with local tourism partners speak with friends, followers, and fans through all the top social media channels. "Destination marketing organizations are the experts on their destination," says Ashley White Communications Manager for the Beaumont CVB. "Offering the right tools and content online positions us to engage and service visitors in whatever stage of the researching and planning process they happen to be in," she continues. Founded by the Web Marketing Association in 1997, the WebAwards is the standards-defining competition that sets industry benchmarks for the best web sites nation-wide based on the seven criteria of a successful website including: Design, Ease of Use, Copywriting, Interactivity, Use of Technology, Innovation and Content. The goal of the WebAwards is to provide a forum to recognize the people and organizations responsible for developing some of the most effective websites on the Internet today. Now in its 14th year, the WebAwards is the premier annual website award competition that names the best Web sites in 96 industries while setting the standard of excellence for all website development. One of only 13 Standard of Excellence WebAward winners, www.BeaumontCVB.com offers a fresh look, innovative features, and plenty of tools to make travel and event planning a little easier for its users. Other recipients of this award include Disney Cruise Lines, State of Florida Tourism and State of Louisiana Tourism. The Web Marketing Association was founded in 1997 to help set a high standard for Internet marketing and development of the best websites on the World Wide Web. Staffed by volunteers, this organization is made up of Internet marketing, online advertising, PR, and top web site design professionals who share an interest in improving the quality of online advertising, internet marketing, and website promotion. The Web Marketing Association is the producer of the WebAward Competition. For more information on the WebAwards Competition, please visit http://www.webaward.org/. 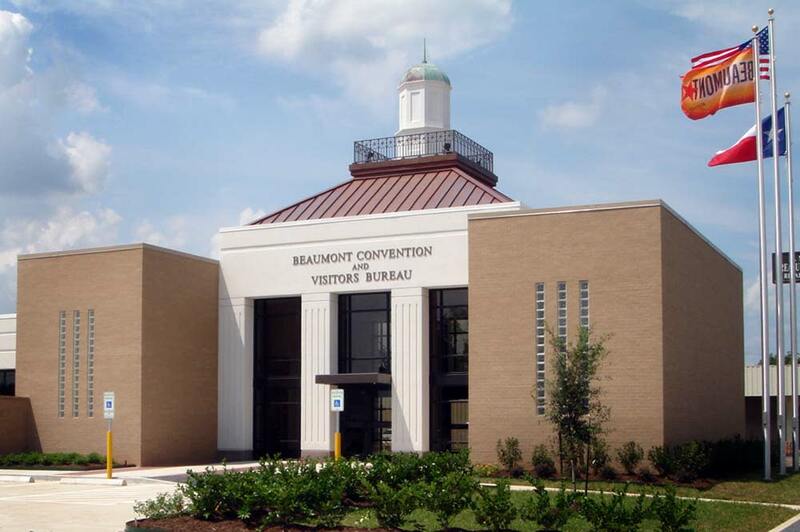 The Beaumont CVB is the official destination marketing organization for Beaumont, TX. Our mission is to entice groups, conventions and meetings to choose Beaumont as their meeting destination. These groups impact the local economy through hotel occupancy taxes and tourism dollars that significantly affect the economic development of Beaumont. Tourism dollars are "new money" brought into the local economy. Media contact for the Beaumont CVB is Stephanie Molina, (409) 880-3170 or email smolina@ci.beaumont.tx.us.